"Superb advocate. Very commercial and approachable. Great team player." Tim Lord QC took Silk after 16 years at the Bar, on the strength of a broad commercial practice taking in not only banking and finance but insurance and reinsurance, professional negligence, civil fraud, energy, conflict of laws, TMT and arbitration. His experience of playing first class rugby and cricket has stood him in good stead for both the adversarial aspects of litigation and the crucial need for teamwork. Tim’s reputation as a cross-examiner and trial Silk means that he is regularly brought in to head up heavyweight disputes where he will lead a large team. He is also increasingly instructed to hold the leading appellate brief in cases where he did not appear below. Tim was invited to speak on Appellate Advocacy at the IBA Annual Litigation Forum in Chicago, USA in May 2018. He is recommended as a leading Silk for Commercial Litigation, Banking & Finance, Professional Negligence and Civil Fraud by the Legal 500 and Chambers & Partners, for Commercial Dispute Resolution, Banking & Finance, Civil Fraud and Professional Negligence by Chambers & Partners and Insurance by Legal Experts. Tim was awarded 'Commercial Litigation Silk of the Year 2013' at the Chambers Bar Awards 2013, and 'Banking and Finance Silk of the Year 2014' at the Chambers Bar Awards 2014. He was also nominated for 'Commercial Litigation Silk of the Year' at the Legal 500 Awards 2014. In 2016 he was nominated by Legal 500 for Commercial Litigation Silk of the Year. Since 2017, Tim has been highlighted by Who's Who Legal as one of the most highly regarded silks for Banking & Finance. Tim was awarded Commercial Litigation Silk of the Year 2018 at the Chambers Bar Awards 2018 and was nominated for Commercial Litigation Silk of the Year in the Legal 500 UK Awards 2019. "The delightful Tim Lord QC of Brick Court Chambers is a winner with clients for his affable and charming personality. In the court, however, he transforms into the Rottweiler advocate who can tear into an argument with force. Clients say he has the ability to pinpoint the key issues of a case and make them stand out to help win a courtroom battle." Tim is featured in two of The Lawyer's Top 20 cases of 2018. For a copy of Tim Lord QC's CV in Russian please click here. Bank St Petersburg v Arkhangelsky: Tim acted for Bank St Petersburg in a long running dispute tried over 6 months in the High Court. On 9th May 2018, Mr Justice Hildyard sitting in the Chancery Division gave judgment in favour of the Bank on its contractual claims and dismissed the $500m counterclaim against the bank based on alleged "fraudulent raiding" of assets:  EWHC 1077 (Ch). Tim Lord QC has a wealth of court and trial experience enabling him instinctively to identify the point on which a case will turn and carry the tribunal with him. Originally a solicitor in the City, he took with him to the Bar a thorough grounding in banking, capital markets, corporate finance and general commercial dispute work as well as a clear understanding of how the barrister/solicitor relationship works best. He has maintained a broad practice, combining different areas of substantive and procedural law with a wide range of courtroom experiences. This breadth and diversity makes for effective advocacy and good judgment, essential qualities in Silk. Tim has a truly international practice, with particular experience of disputes arising out of Russia, the Far East and Middle East. He is also developing a significant profile in Africa-related work, including joint venture, mineral and general commercial disputes. Tim undertakes work in foreign jurisdictions where he has rights of audience before the local courts, as well as before international arbitral tribunals. In April 2015, he was invited to deliver a talk on banking disputes to the Hong Kong International Arbitration Centre. Tim is currently retained in relation to global insolvency proceedings, on behalf of banks including central banks. In May 2018, Tim was invited to address the IBA Annual Litigation Forum in Chicago, USA. Goldman Sachs International v Novo Banco S.A.: Tim led for Goldman Sachs in this $850M claim arising out of a loan arranged by Goldman Sachs in 2014 for a major Portuguese Bank, Banco Espirito Santo, which was rescued by the Portuguese central bank later that year. The claim concerned the enforcement of liability under the loan agreement against the bridge bank, Novo Banco, to which BES’s assets and liabilities were transferred as part of the rescue. Goldman Sachs succeeded in establishing jurisdiction of the English Court following a contested hearing in July 2015 before Hamblen J:  EWHC 2371 (Comm). Tim represented Goldman Sachs before the Court of Appeal in 2016, when the court allowed the jurisdiction appeal:  EWCA Civ 1092. Tim led for Goldman Sachs at the 2 day hearing in the Supreme Court in April 2018:  UKSC 34;  1 WLR 3683. Property Alliance Group v RBS: Tim is instructed by PAG in relation to its dispute with RBS, involving issues as to mis-selling of swaps, LIBOR and GRG. The matter was transferred to the Financial List by The Chancellor due to its "test case" importance to the markets. Tim led for PAG at the 12 week trial before Asplin J that began in May 2016. Asplin J found against PAG:  EWHC 3342 (Ch). PAG was granted permission to appeal by the Court of Appeal, the Master of the Rolls designating the matter a "test case" for claims against banks, including claims of swaps mis-selling, LIBOR manipulation and GRG. Following a 7-day hearing in February 2018, the Court of Appeal dismissed PAG's appeal on the facts albeit upholding, as a matter of law, an implied representation as to LIBOR manipulation and an implied term in relation to RBS's right to call for valuations of the portfolio:  EWCA Civ 355;  1 WLR 3529. The case was widely reported in the press, including The Times and The Lawyer. An application for permission to appeal to the Supreme Court was refused. Tim has been instructed by the claimant, Bluewaters, in its Commercial Court claim for substantial damages of over $600m arising out of the sale of Formula 1 motor racing. Bluewaters was the unsuccessful bidder and sues Bayerische Landesbank, Bernie Ecclestone and others in relation to the sale. This is one of The Lawyer’s Top 20 Cases of 2018 and the 10 week trial is set down for October 2019. UBS v KWL: very high profile $450M structured finance dispute involving the Leipzig Water Company. Tim led for KWL at the Commercial Court trial, which ran from April to July 2014. Males J handed down judgment in favour of KWL on 4 November 2014:  EWHC 3615 (Comm). This was one of The Lawyer’s Top 20 Cases of 2014. Tim led for KWL as Respondent to UBS's appeal to the Court of Appeal, which was heard over 10 days in May 2017. The Court of Appeal gave judgment for Tim's client:  EWCA Civ 1567. In April 2018, the Supreme Court dismissed UBS's application for permission to appeal. Rowe v Ingenious Media: Tim is instructed on behalf of the Ingenious Media defendants in relation to the Chancery Division litigation arising out of the highly publicised film finance investment schemes. The litigation began in 2016 and continues. This is one of The Lawyer’s Top 20 Cases of 2018. RBS v Stallion Eight Shipping (The M.V. Alkyon): Tim is instructed by the defendant in this in rem Admiralty dispute, which has already generated an application in relation to the arrest of the vessel:  EWHC 2033 (Admlty). The proceedings began in June 2018 in the Admiralty Court, and continue. Taberna Europe v Roskilde Bank: Tim was instructed by the successful claimant, Taberna, upon the appeal by Roskilde against the judgment of Eder J in favour of Taberna at the trial:  EWHC 871 (Comm). The appeal, which raises issues under the Misrepresentation Act 1967, was heard by the Court of Appeal in 2016:  EWCA Civ 1262. Cotchford Secretary Ltd v X5: Tim was Leading Counsel for the claimant in this $40M dispute relating to unpaid commissions for property services and transactions in Russia, which started in the Commercial Court and settled in the course of 2016. CF Partners v Barclays Bank: Tim led for CFP in the trial of this breach of confidence claim in the Chancery Division that took place from May to July 2013 before Hildyard J and which arose out of a corporate finance deal involving carbon credits trading. This case was featured in The Lawyer's Top 20 Cases of 2013. Judgment was handed down in favour of CF Partners for €10 million (by way of Wrotham Park damages) on 24 September 2014:  EWHC 3049 (Ch). JP Morgan v BVG: £200M claim by JPM against the Berlin Transport Company over a synthetic CDO. Tim led for BVG in the Supreme Court and appeared at the ECJ in February 2011, in relation to the jurisdiction dispute. He led in the substantive Commercial Court trial before Flaux J, which ran from January to March 2014 before settling. This was one of The Lawyer’s Top 20 Cases of 2014. The National Trust v IBM: Tim was instructed by the National Trust in their claim in the TCC against IBM in relation to the Trust’s CRM system. LIBOR rate-fixing and Interest Rate Swaps mis-selling claims: Tim represented Guardian Care Homes, which brought one of the first civil claims based upon LIBOR rate-fixing and Swaps mis-selling: Graiseley Properties Ltd and others v. Barclays Bank plc (see The Lawyer 7th and 13th August 2012, and Top 20 Cases of 2013). The matter settled in 2014. JP Morgan Chief Investment Office: Tim has been consulted in relation to the fallout from the announcement of substantial losses by trading within the CIO, often referred to in the press as losses caused by "the London Whale". Renaissance Capital Ltd v African Minerals Ltd: Tim was instructed by the Defendant in relation to a claim for $94M arising out of a mining transaction, issued in the Commercial Court in May 2012. The Defendant succeeded upon appeal to the Court of Appeal in 2015. Fortress Value Recovery Fund v Blue Skye Special Opportunities Fund: Tim has appeared for the defendant managers in this dispute concerning a €200M investment structure and claims brought by certain investors and the lender. The litigation started in the Commercial Court in 2012 with interim freezing injunctions being obtained by the claimants and a summary judgment application was heard by Flaux J in December 2012. HSBC v AHAB and Algosaibis: $100M claim by HSBC for repayment under various lending facilities and guarantees. Tim led for HSBC at the Commercial Court trial before Flaux J in June 2011, which collapsed amidst widespread publicity with the Defendants submitting to judgment in favour of HSBC. He successfully resisted attempts by other banks (also judgment creditors of these defendants) to set aside HSBC's interim charging orders over certain assets of such defendants at a hearing in September 2011. Lornamead v Kaupthing Bank: Tim led for Kaupthing Bank before Gloster J in 2011 at the jurisdiction hearing in the Commercial Court, which involved the Icelandic banking insolvency regime. Merrill Lynch v Agricultural Bank of Greece: Tim led for ABG in this structured product dispute over a "snowball". Lunn v Cenkos Securities plc: Tim was retained by the defendant in relation to this claim for bonus payments, which started in the QBD in June 2012. William Hill v Playtech Ltd: Tim led for Playtech in this high profile online gaming dispute, which settled shortly before the Commercial Court trial in May 2011. Deutsche Bank v SHI: $3 billion prime brokerage dispute in the Commercial Court, which arose at the height of the "credit crunch". Renaissance Capital v African Minerals Ltd: Tim acts for the defendant in this mining related dispute, which was issued in the Commercial Court in October 2011 and involves claims for corporate finance fees. JN Dairies Ltd v Johal Ltd: Tim acted for the defendant in this breach of confidence dispute, the trial of which ended up in the Court of Appeal. Tim Lord QC's time working for a major City law firm before coming to the Bar ideally suited him to banking and finance litigation: his first hand transactional experience of syndicated loans, bond issues, mortgage securitisation and the capital markets generally makes him an obvious choice of silk for "credit crunch" disputes. He specialises in complex derivatives disputes before both the English Courts and international tribunals. He is recommended as a leading Silk for Banking & Finance by Chambers & Partners and by the Legal 500. Tim is highlighted by Who's Who Legal 2018 as one of the most highly regarded silks for Banking & Finance. He is regularly instructed by, and against, the major international banks and financial institutions in their heavyweight litigation. Tim is currently retained in respect of global insolvency proceedings, at the suit of various banks including central banks. Tim was awarded Banking and Finance Silk of the Year 2014 by Chambers & Partners at their awards ceremony in October 2014. The breadth of Tim's financial practice is reflected in his recent instruction by the defendant in an in rem Admiralty action in which the lender has instituted proceedings against the vessel for alleged default under the finance agreements. The case, which began in June 2018, has already generated much interest following the hearing of the defendant's application for the vessel to be released from arrest unless the claimant gave a cross-undertaking in damages. The Admiralty Court refused the application but gave permission to appeal: Natwest Markets plc (formerly known as RBS PLC) v Stallion Eight Shipping Co. SA (The M.V. Alkyon)  EWHC 2033 (Admlty), per Teare J. Another good example of his workload is his instruction by Goldman Sachs International in its dispute under an $800M loan arranged by Goldman in 2014 for a major Portuguese bank, Banco Espirito Santo. BES had to be rescued by the Portuguese central bank in 2014 and the loan was transferred (under the EU regime for bank rescue and recovery) to Novo Banco as the bridge bank. Novo Banco defaulted under the loan but asserted that the loan remained with BES. The lenders and Goldman Sachs issued proceedings in London in 2015 for recovery of the debts. Tim led for Goldman at the jurisdiction hearing before Hamblen J in July 2015, at which the jurisdiction of the English Court was upheld:  EWHC 2371 (Comm). Tim represented Goldman Sachs before the Court of Appeal in 2016, when the court allowed the jurisdiction appeal:  EWCA Civ 1092. Tim led for Goldman at the 2 day hearing in the Supreme Court in April 2018:  UKSC 34;  1 WLR 3683. Tim was Leading Counsel for Property Alliance Group in its dispute with RBS, involving issues as to mis-selling of swaps, LIBOR and GRG. The matter was transferred to the Financial List by The Chancellor due to its "test case" importance to the markets. Tim led for PAG at the 12 week trial before Asplin J that began in May 2016. Asplin J found against PAG:  EWHC 3342 (Ch). PAG was granted permission to appeal by the Court of Appeal, the Master of the Rolls designating the matter a "test case" for claims against banks, including claims of swaps mis-selling, LIBOR manipulation and GRG. Following a 7-day hearing in February 2018, the Court of Appeal dismissed PAG's appeal on the facts albeit upholding, as a matter of law, an implied representation as to LIBOR manipulation and an implied term in relation to RBS's right to call for valuations of the portfolio:  EWCA Civ 355;  1 WLR 3529. The case was widely reported in the press, including The Times and The Lawyer. An application for permission to appeal to the Supreme Court was refused. Tim led for Bank St Petersburg in its long running litigation against the Arkhangelskys, which proceeded in the Chancery Division. Tim appeared for the Bank at the trial before Hildyard J, which spanned some 6 months. The Bank sought payment of outstanding debts owed by the defendants under personal guarantee and loan agreements following the collapse of their business during the financial crisis. The defendants counterclaimed some $500M based on alleged "fraudulent raiding" of their assets. On 9th May 2018, Hildyard J in a 388 page judgment found in favour of Bank St Petersburg on its contractual claims and dismissed the $500m counterclaim against it:  EWHC 1077 (Ch). Tim was leading counsel for KWL in a high profile $450M claim against it by UBS, which related to credit default swaps, synthetic CDOs and portfolio management agreements. A jurisdiction hearing took place before Gloster J in July 2010. Gloster J dismissed the jurisdiction challenge: UBS v KWL  EWHC 2566 (Comm). Tim led for KWL at the Commercial Court trial, which ran between April and July 2014. Males J handed down judgment for KWL on 4 November 2014:  EWHC 3615 (Comm). One of The Lawyer’s Top 20 Cases of 2014, the trial and judgment attracted substantial press coverage. Tim led for KWL as Respondent to UBS's appeal to the Court of Appeal, which was heard over 10 days in May 2017. The Court of Appeal gave judgment in favour of Tim's clients:  EWCA Civ 1567. In April 2018, the Supreme Court dismissed UBS's application for permission to appeal. Tim was instructed by the successful claimant, Taberna, to lead upon the appeal by Roskilde against the judgment of Eder J in favour of Taberna at the trial: Taberna Europe v Roskilde Bank  EWHC 871 (Comm). The appeal, which raises issues under the Misrepresentation Act 1967, was heard by the Court of Appeal over 2 days in 2016:  EWCA Civ 1262. He led for the defendant in J P Morgan Chase v. Berliner Vekehrsbetriebe, which concerned credit default swaps in the context of a synthetic CDO and is worth £250 million. The question of jurisdiction was considered by the Supreme Court, which made a reference to the ECJ. Tim represented BVG before the Supreme Court and ECJ. The ECJ having determined that the English court has jurisdiction -  1 WLR 2087 - the substantive dispute was tried by Flaux J in the Commercial Court between January and March 2014, settling shortly before its conclusion. This was one of The Lawyer’s Top 20 Cases of 2014. Tim is regularly consulted in relation to all manner of high profile banking matters. He was retained in relation to the LIBOR rate-fixing scandal and the FSA inquiry into it and announcements. He represented Guardian Care Homes, which brought one of the first civil claims based upon LIBOR rate-fixing and Swaps mis-selling: Graiseley Properties Ltd and others v. Barclays Bank plc, featured in The Lawyer's top 20 cases of 2013. This matter settled in 2014. Tim appeared in a second case featured in The Lawyer's Top 20 Cases of 2013, CF Partners v Barclays Bank, a breach of confidence claim in the Chancery Division arising out of a corporate finance deal involving carbon credits trading. Tim led for the claimant at the 10 week trial before Hildyard J which took place between May and July 2013. Judgment was handed down in CF Partners’ favour for €10 million Wrotham Park damages on 24 September 2014:  EWHC 3049 (Ch). Tim appeared as leading counsel for HSBC in its claim as lender for some US$100 million under revolving credit facilities and guarantees. The defences raised include alleged forgery of signatures and fraud on the part of the managing director of the borrower: HSBC v. Ahmad Hamad Algosaibi and Brothers Company. The Commercial Court trial before Flaux J in June 2011 collapsed amidst widespread publicity with the defendants submitting to judgment. Tim led for HSBC at a hearing which dismissed the application by other banks (which were also judgment creditors of these defendants) to have HSBC's interim charging orders over certain of the defendants' assets set aside:  EWHC 2444 (Comm), Flaux J.
Tim was instructed as leading counsel for the defendant in a dispute under a prime brokerage agreement concerning alleged FX trading losses and liabilities of over US$3 billion, which arose at the height of the "credit crunch". The question of jurisdiction was heard by the Court of Appeal in April 2010: Deutsche Bank v. Sebastian Holdings Inc. The Court of Appeal dismissed the appeal:  EWCA Civ 998. Tim was instructed by Kaupthing Bank in relation to a claim against it by Lornamead Ltd in the Commercial Court. Kaupthing's application to strike out the proceedings on jurisdictional grounds was heard in February 2011 before Gloster J, who dismissed the application but gave leave to appeal to the Court of Appeal. Tim was instructed as leading counsel for the Agricultural Bank of Greece in the Commercial Court action brought by Merrill Lynch. The dispute concerned an exotic structured derivative known as a "snowball". Tim was retained by the defendants in Deutsche Bank v. Vik and Vik Millahue, in which the claimant made restitutionary claims arising out of alleged mistakes occurring during the time of the worst of the turmoil in the financial markets. Tim successfully secured the striking out of the claim on jurisdictional grounds: Commercial Court 19 March 2010, Burton J.
Tim has been instructed in relation to many disputes where the ISDA Master Agreement forms the basis of the contractural matrix: securitisations, CDOs, CLOs, Target Redemption Forward Transactions, credit ratings arbitrage, prime brokerage, FX and equities trading, futures, options and swaps of all kinds. He has advised in relation to many aspects of the ISDA documentation, including jurisdiction, events of default, conditions precedent, early termination, settlement, set off, notices, credit support, VaR and cross-collateralisation. Tim's experience of structured financial product disputes has been called upon in his instruction by one of the leading monoline insurers, MBIA. MBIA as claimant instructed Tim, alongside Jonathan Sumption QC, in relation to a Part 8 Claim proceeding in the Chancery Division: LaCrosse and MBIA v. The Royal Bank of Scotland. The dispute concerned the termination of a credit derivative transaction. It settled shortly before trial in July 2010. Tim regularly provides expert opinions as to English law for foreign courts, most recently in a dispute proceeding before the New York Court concerning monoline insurance and a structured financial transaction. Tim has been instructed in relation to various hedge fund matters, most recently arising out of the Madoff scandal. Tim has been retained by a major US law firm to provide expert opinion evidence on English law in proceedings in The Netherlands arising out of the syndicated loan financing of a telecoms J.V. His advice has regularly been sought in relation to disputes arising directly out of the credit crunch, variously involving derivatives, hedge funds and investors concerned at their exposure to troubled financial institutions and the collapse of the Icelandic banks in particular. He has recently advised upon a claim based upon an allegedly misleading prospectus. General commercial litigation is very much the bedrock of Tim Lord QC's practice. In addition to the particular areas of commercial practice set out above and below, he accepts instructions in a wide range of general commercial disputes. He is listed as a Leading Silk in Commercial Litigation by Chambers & Partners and for Commercial Dispute Resolution by The Legal 500. Tim won the Commercial Litigation Silk of the Year 2013 award at the Chambers & Partners Bar Awards in October 2013. He was nominated for Commercial Litigation Silk of the Year by The Legal 500 in 2014 and 2016. The breadth and versatility of Tim's commercial practice has seen him instructed by the defendant in an in rem Admiralty action in wihch the lender has instituted proceedings against the vessel for alleged default under the finance agreements. The case, which began in June 2018, has already generated much interest following the hearing of the defendant's application for the vessel to be released from arrest unless the claimant gave a cross-undertaking in damages. The Admiralty Court refused the application but gave permission to appeal: Natwest Markets plc (formerly known as RBS PLC) v Stallion Eight Shipping Co. SA (The M.V. Alkyon)  EWHC 2033 (Admlty), per Teare J. Another recent instruction reflecting Tim's reputation as one of the leading commercial silks is his retention by the defendant in a high profile dispute between the Ras Al Khaimah Investment Authority and the U.S. businessman, Farhad Azima. The dispute has generated proceedings on both sides of the Atlantic. Tim leads for Mr Azima in the Chancery Division suit. Tim is instructed by the claimant, Bluewaters, in its Commercial Court claim for over $600 million in damages arising out of the sale of Formula 1 motor racing. Bluewaters was the unsuccessful bidder and sues Bayerische Landesbank, Bernie Ecclestone and others in relation to the sale. This is one of The Lawyer’s Top 20 Cases of 2018. The 10 week trial is set down for October 2019. He was leading counsel for the claimant in the case of C F Partners v Barclays Bank, which commenced in the Chancery Division in 2011. The claim is based on breach of confidence arising out of corporate finance transactions involving carbon credit trading companies. This case, which featured in The Lawyer's Top 20 Cases of 2013, was tried over some 10 weeks in May-July 2013 before Hildyard J where Tim led for CFP. Judgment in CFP’s favour for €10 million Wrotham Park damages was given on 24 September 2014:  EWHC 3049 (Ch). Tim was Leading Counsel for the claimant in a $40M dispute relating to unpaid commissions for property services and transactions in Russia, which started in the Commercial Court and settled in 2016: Cotchford Secretary Ltd v X5. Tim was instructed in a substantial Commercial Court action concerning a €200M investment structure which started in 2012: Fortress Value Recovery Fund 1 LLC v Blue Skye Special Opportunities Fund L.P. Tim appeared as leading counsel for the manager defendants who face claims in conspiracy in relation to the restructuring of the fund. Tim has appeared at several hearings in 2012 in respect of the freezing injunctions which the claimants obtained, as well as a hearing in relation to an Arbitration Act challenge heard by Mr Justice Blair:  EWHC 1486 (Comm), and a summary judgment application before Flaux J:  EWHC 14 (Comm). A good example of the breadth of his commercial practice is the claim on behalf of certain farmers for compensation for the 2007 outbreak of foot and mouth disease (Pride v IAH, Merial Animal Health Ltd and The Secretary of State 2008 QBD). Judgment was given on 31 March 2009 following a 3 day strike out/summary judgment hearing in which the defendants were represented by Jonathan Sumption QC & Michael Beloff QC: Pride & Partners v IAH and Others, QBD 31 March 2009, Tugendhat J.
Tim was retained by the defendant in a claim issued in the QBD in June 2012 for unpaid bonuses: Lunn v Cenkos Securities plc. Tim appeared as leading counsel for the defendant in a substantial jurisdiction hearing in the Commercial Court arising out of an international sale of goods dispute : Katsouris Bros. Ltd v. Haitoglou Bros. SA. The matter was heard by Eder J in January 2011. The Court acceded to the defendant's case that parallel Greek proceedings should be given precedence over the English proceedings:  EWHC 111 (QB). He is regularly consulted in relation to disputes concerning corporate finance, takeovers and mergers both domestic and international. The contexts are diverse, and have recently ranged from minerals exploitation in Africa, to carbon credits trading, online gambling businesses and capital markets trading platforms. Tim acted for the defendant in Renaissance Capital v African Minerals Ltd. This mining related dispute has generated two actions in the Commercial Court: the dispute involves claims for a variety of corporate finance advisory fees in a total of some $100M. The defendent suceeded in the Court of Appeal in 2015. Tim led for the defendant in The Yarrow Foundation v Timis, an action for breach of trust in the Chancery Division in 2011. Tim was retained by the defendants in a high profile dispute as to restrictive covenants in the world of online gaming business: William Hill v. Playtech. Tim appeared at the interim injunction hearing before Teare J in March 2011. The trial settled shortly before it was due to begin in the Commercial Court in May 2011. Tim is regularly instructed to form part of a multi-disciplinary team and bring a commercial law perspective to bear (a good example being Henry Boot v Alstom Combined Cycles  3 AER 932, CA). He was leading counsel in a 2 week trial in the Chancery Division in March 2009 concerning the alleged misappropriation of trade secrets involving allegations of conspiracy, bribery and forgery (JND v Johal 2009 Ch. Div. ), the appeal in which was heard by the Court of Appeal in March 2010:  EWCA Civ 348. Tim Lord QC has been instructed in some of the largest professional negligence actions seen in the High Court. He was retained by the claimant insurers as the senior junior in The Tag Litigation, which was group litigation against 600 solicitors' firms arising out of the collapse of an ATE insurance scheme. This case started in the Commercial Court in 2005 and settled shortly before trial in 2008. Tim was instructed in Silk in relation to another substantial solicitors' negligence action in the Commercial Court (Axa Insurance Ltd v Various firms of solicitors). Judgment was given by Flaux J in the Axa litigation, following a trial of the preliminary issue of limitation which raised difficult questions of when a cause of action in negligence arose in relation to a breach of duty that was said to have led to the insurer entering a policy it would not otherwise have done: Axa Insurance Ltd v. Akther & Darby Solicitors & Others,Commercial Court 27 March 2009, Flaux J. The Court of Appeal gave judgment in November 2009 including permission to appeal to the Supreme Court. The action has since settled. Tim has experience of all types of professional negligence litigation: insurance brokers, accountants, barristers, solicitors (he was originally a solicitor in the City), surveyors, architects and engineers. He has recently been instructed by a major City firm in relation to applications concerning it in the Commercial Court. Tim is retained by the Ingenious Media Group in relation to much publicised disputes concerning film finance investment products: investors in such schemes launched actions in the Chancery Division in 2016 against Ingenious Media entities as well as the IFAs who were involved with such investments. Tim leads for the Ingenious Media defendants in these ongoing sets of proceedings. Tim was instructed by The National Trust in its TCC claim against IBM in relation to the upgrade of The Trust's CRM system. Based upon his reputation for forensic analysis and cross-examination, he has particular experience in insurance fraud litigation (eg Yaqoob v Royal Insurance 2006 CA). As the economic climate deteriorates, this is a fast-growing area of practice. He is recommended as a leading practitioner in this field in the directories. Tim was recently instructed in relation to a substantial policy/coverage dispute concerning professional indemnity insurance. Tim has particular expertise in the area of civil fraud, in which keen forensic analysis and expert cross-examination are at a premium. His practice straddles insurance fraud (eg Yaqoob v Royal Insurance 2006, CA), financial fraud (eg Cargill and Citibank v KPN and Qwest 2008), business fraud (eg Medina v Nijjar 2005, QBD) and fraudulent claims in general (eg Cooper v P&O Stena Line Ltd  1 Ll Rep 734, Admiralty). As part of his civil fraud practice, Tim has worked closely with experts in a variety of forensic fields eg accountancy, computing and software, data recovery. This aspect of his practice necessarily encompasses freezing injunctions, search orders and related procedural matters. Holyoake v Candy: Tim led for the defendants at the 10 week trial in 2017 at which judgment was given in favour of Tim's clients:  EWHC 3397 (Ch). Bank St Petersburg v Arkhangelsky: Tim led for the claimant bank at the trial in the Chancery Division that ran for 12 weeks in 2016. UBS v KWL: Tim led for KWL at the 3 month trial before Males J in 2014 and led at the 10 day appeal in the Court of Appeal in 2017. The Court of Appeal gave judgment for Tim's clients:  EWCA Civ 1567. Tim was retained by NatWest to defend a £20m claim brought against it in the Chancery Division alleging conspiracy, dishonest assistance and restitution. Tim Lord QC has significant experience of conflict of laws and jurisdictional disputes. The context might be insurance (Butcher v Yellow Book 2004 Commercial Court), banking (Barclays v SSR 2005-6 Commercial Court), software and licensing (confidential media/technology dispute 2004 Commercial Court) or employment (Benfield v Richardson 2007 QBD). The issue of anti-suit injunctions frequently arises (eg Butcher, Benfield). Tim was recently engaged as an expert witness in a dispute in the Dutch courts over whether English or Dutch law applies to a substantial piece of banking and finance litigation. He has given expert opinion evidence in an action in the New York Court concerning monoline insurance and a complex structural financial transaction and most recently in relation to an insolvency dispute before the French Courts. JP Morgan Chase v BVG  QB 276, Teare J;  EWCA Civ 390, CA. Deutsche Bank v Sebastian Holdings  EWHC 2132 (Comm), Paul Walker J;  1 All ER (Comm) 808, Burton J;  EWCA Civ 998, CA; Supreme Court, November 2010;  1 WLR 2087, ECJ. Deutsche Bank v Vik and Vik Millahue  EWHC 551 (Comm), Burton J.
UBS v KWL  EWHC 2566 (Comm), Gloster J.
Katsouris Bros. Ltd v Haitoglou Bros. SA, Commercial Court, 14 January 2011, Eder J.
Lornamead Acquisitions Ltd v Kaupthing Bank hf  EWHC 2611 (Comm), Gloster J.
Tim's experience when a City solicitor of major utilities privatisations provides an obvious backcloth to instructions in this field. He has often advised in relation to mineral exploitation and carbon trading credits claims. A good example of Tim's energy practice is his retention by CATS North Sea Ltd and the other defendants in their £50m dispute with Teeside Gas Transportation Ltd, which proceeds in the Commercial Court and is due for trial in January 2019. Tim's practice has in recent years included a substantial TMT element. This has included litigation over matters as varied as: satellite broadcasting (Premier Telesports v The Racecourse Association 2003 Commercial Court); software licences relating to the provision of financial and trading information to City institutions; a merchandising and CD contract (Ministry of Sound v World Online Ltd  2 AER (Comm) 823); a media rights agreement (Attheraces v RCA 2006 Commercial Court). Tim continues to be instructed in the field of Telecoms/Media/Technology. He was retained by Ingenious Media Limited in a claim in the High Court against them by Ministry of Sound concerning alleged misrepresentation and misstatement in relation to Trinity Street: MSHK Ltd v Ingenious Media Limited & Others, QBD 2009. The National Trust v IBM: Tim leads for the National Trust in their ongoing claim in the TCC against IBM in relation to the Trust’s CRM system. Tim is retained in relation to ongoing disputes arising out of well publicised film finance investment products. Tim Lord QC has experience of arbitration in the commercial law areas described above, which matters are of course confidential. Recent examples include disputes arising out of overseas joint ventures, banking transactions, alleged breach of warranty in corporate finance deals and hedge fund related litigation generated by the "credit crunch". Also, a number of TMT and defence procurement disputes. Tim appeared for the defendants on an Arbitration Act challenge in the Commercial Court in May 2012: Fortress v Blue Skye  EWHC 1486 (Comm), Blair J. In 2016, he led in a significant LCIA arbitration concerning a dispute between joint venture partners arising out of their international joint venture. Also in 2016, he was instructed in a number of other high profile banking and general commercial arbitrations. Tim was invited to address the Hong Kong International Arbitration Centre in April 2015 on banking and financial services disputes. Tim has been instructed in several high value disputes raising complex technical issues (eg Piper v Clifford Kent 2003, CA; Thames Water v LUL 2005 TCC). He is adept at leading and co-ordinating multi-disciplinary teams including a variety of expert disciplines. Judgment was given on 1 May 2009 inSiemens Ltd v Supershield Ltd, a TCC trial before Ramsey, J in which Tim appeared for Siemens. The appeal to the Court of Appeal in December 2009 considered the important recent House of Lords case on remoteness of damage in contract and the rule in Hadley v. Baxendale (Transfield Shipping v. Mercator Shipping, The Achilleas): Supershield Ltd. v. Siemens  1 Lloyd's Rep 349, CA. He was Leading Counsel for the National Trust in its TCC dispute with IBM arising out of the Trust’s CRM system. 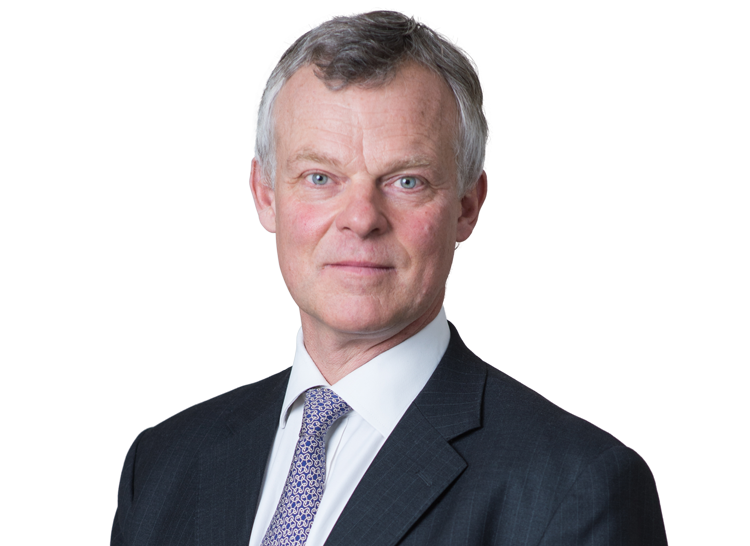 The fact that Tim Lord QC achieved a First in Law at Cambridge University whilst also representing the University at first class rugby (Blue 1986) and cricket (now a playing member of the MCC) means that he combines "brains with brawn". This makes him an attractive and suitable choice as a Silk in disputes in the context of sport. He has particular experience of the horse racing industry. Tim has over the years done his fair share of litigation as to the civil procedure rules, especially at appellate level (ie Budgen v Andrew Gardner Partnership  CP Rep 8, CA; Vinos v Marks & Spencer Plc 3 AER 784, CA; Nanglegan v Royal Free  1 WLR 1043, CA; Dunnett v Railtrack Plc  1 WLR 2434, CA). Tim has appeared in several high profile hearings concerning the scope of a bank’s claim to legal professional privilege in connection with regulatory investigations: PAG v RBS  EWHC 1557 (Ch), Birss J. In conjunction with Harry Matovu, Tim compiled the Brick Court Chambers written response to the Commercial Court Long Trials Working Party pilot scheme and attended and contributed to the symposium on the subject in January 2009. The Hon. Tim Lord QC is married to Amanda (née Green), who was a commercial barrister herself for 12 years before starting an online fundraising venture. They live in London with their two boys, James and William. Tim played rugby and cricket for Cambridge University (Rugby Blue 1986) and is a playing member of the MCC. When time permits, he plays some cricket and golf, sails and skis. He is an active supporter of the Christ's College, Cambridge alumni programme and his local church. He is a member of COMBAR, the Professional Negligence Bar Association and the London Common Law and Commercial Bar Association, of which he was Honorary Secretary for 6 years. He was elected a Bencher of the Inner Temple in July 2013.